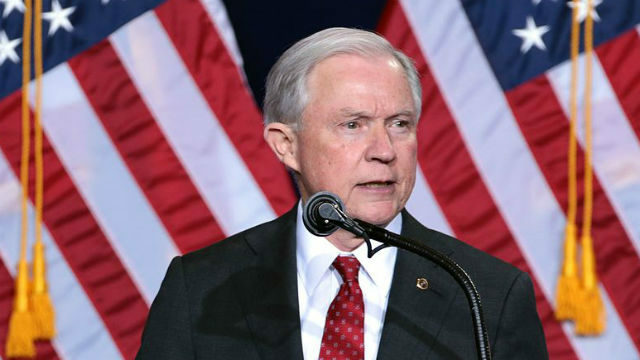 U.S. Attorney General Jeff Sessions Thursday announced a national healthcare-fraud enforcement action involving charges against 400 people across the United States — including some in San Diego — for their alleged participation in fraud schemes involving more than $1.3 billion worth of false billings. In San Diego, additional charges were filed and guilty pleas entered this week in the ongoing investigation by federal and state authorities into the buying and selling of patients in order to bill for millions of dollars in medical services and devices. In November 2015, the U.S. Attorney’s Office and San Diego County District Attorney’s Office, working with the FBI and California Department of Insurance, announced arrests arising from “Operation Back Lash,” targeting kickbacks and bribes used to induce the referral of California Workers’ Compensation applicants for medical services and devices. Since then, nearly 40 people and corporations have been charged with federal and/or state crimes, including doctors, attorneys, marketers and providers of medical services and devices. This week, additional charges were filed against Beverly Hills radiologist Ronald Grusd and his chief administrator, Gonzalo Paredes, who are alleged to have paid tens of thousands of dollars in kickbacks for patients to be referred to their clinics for MRIs and other medical services. Grusd and Paredes and corporations owned and operated by them, including Advanced Radiology, California Imaging Network, and Willows Consulting, were charged with conspiracy, healthcare fraud, honest-services mail and wire fraud, use of interstate facilities to violate the Travel Act, and money laundering. The defendants are alleged to have sought more than $20.3 million in payment on claims generated through their corrupt scheme. “There is rampant corruption on the part of some physicians and other providers in their dealings with the healthcare system,” acting U.S. Attorney Alana Robinson said. Trial is set for each of the defendants in October.